Lent is set aside as a time of preparation for the suffering, death, and resurrection of our Lord, Jesus Christ. During Lent, the Church's worship assumes a more penitential character. Lent serves not only as a time to meditate on the suffering that Christ endured on our behalf but also as an opportunity to reflect upon our own Baptism and what it means to live as a child of God. It forms a powerful contrast with the joyous and festive celebration of Jesus' resurrection. 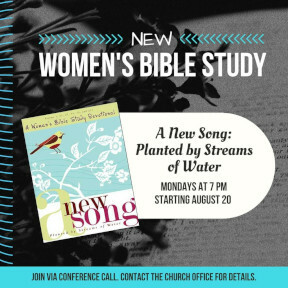 In this book-based Bible Study, each faith narrative was written by a real woman facing real-life issues–just like you. Each author found help, encouragement, and direction for her life from God's Word and shares her stories in her words. These stories, new songs if you will, will help you weave His Word into the unique melody of your life. Everyone meets in the Nave for announcements and singing. 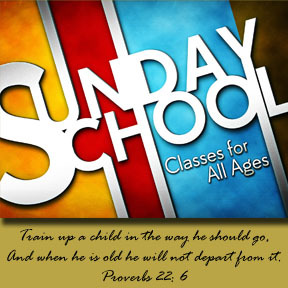 Then the children relocate to the classrooms with their Sunday School teachers, and the adults move to the Fellowship Hall for Bible Study. We look forward to more Bible Studies, Classes, and Outreach opportunities, and we hope you will be able to join us. Until then, may the Lord bless you and keep you in His arms.